Truly the end of an Era with the passing of Peggy O'Brien. Peggy was the instigator that got me to be President of the Saint John Right to Life. She hounded me for years! She was Membership convenor from the beginning and continued until just the last few years when her health started to fail. I was also in CWL with her at the Cathedral and we both taught Sunday School there. She has gone to her beautiful reward. I will miss her. Until we meet again! It is with heavy hearts that the family of Margaret "Peggy" E. O’Brien announces her passing, which occurred Thursday, August 23, 2018 at The Saint John Regional Hospital. Born in Saint John, N.B. on April 26, 1925, she was a daughter of the late James and Elizabeth (Irvine) O’Brien. Peggy was a long-time member of the Catholic Women’s League at The Cathedral of the Immaculate Conception. She was involved with the Saint John Right to Life Association. She worked for NBTel for over 35 years before retiring. Peggy is survived by her brother Frank O’Brien; sisters Joanne Barrett and Marion MacLean (Donald), sister-in-law Gisele O'Brien as well as several nieces and nephews. Aside from her parents, she is predeceased by her sisters Doreen O’Brien, Marie Holden and Irene Mulle; brothers Donald, Bill and Ernie O’Brien; and her step-mother, Catherine O’Brien. Resting at Brenan’s Funeral Home, 111 Paradise Row, Saint John, N.B. (634-7424) with visitation on Sunday, August 26, 2018 from 4:00 – 8:00 PM. A Mass of Christian Burial will be held at The Cathedral of the Immaculate Conception on Monday, August 27, 2018 at 12:10 PM. 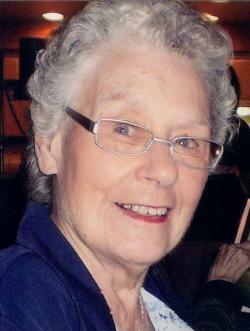 Donations in Margaret’s memory can be made to the Cathedral Building Fund or Saint John Right to Life. Online condolences may be placed at www.BrenansFH.com. Our Present Day operations is Closing. It is with the deepest regret and sadness that I inform you of the following decisions. The time has come when we can no longer fulfill our Mandate of Education in the Saint John area. As stated in my letter in June, we have come to the end of our purpose and it is time for change. We are closing the present day operations of our Chapter of the Saint John Right to Life and Respect for Life Education Centre. The votes are in, and 33 of the 56 members have said to close. 10 members said to stay open and only 3 of them were able to say they could donate any time to the organization. So, moving forward, we will be paying our bills and sending all remaining monies to New Brunswick Right to Life Inc. I want to thank you all for being part of the Saint John Right to Life. I know it is time for this door to close and another to open and I cannot help but think of all those who have worked hard for over 41 years. My late father, Ben Leland, was a great example and supporter from the start of this organization. He taught me to stand up for the less fortunate and the voiceless, but he also taught me when to close the door and move forward. It is not easy, but it is something I know I have to do. Thank you again for your input, to help make this decision. I believe it is in the best interest in the Pro Life cause in our province. Perhaps now, a community can be built from the Provincial office; to be as one family in these most difficult times. Thank you to the past Presidents and all who have served on the Executive and Committees over the years. Marilyn & Oland Stewart, so appreciated for their years of service. There will never be enough thanks for the volunteers who made the time to be in our different locations. We have moved at least four times in my thirteen years! I have met so many people who share my belief that every life is precious. I think of dear Peggy O'Brien, who was the instigator for me becoming President (She said I was good for at least ten years!). I will have time now, to visit her in the Nursing Home. She may not remember me, but as I have learned while looking after my parents, that is not important. The important thing is I know her and she will know someone cares when I visit. Our work has not been in vain. We did get our message to many generations of people. Beth Crouchman was able, for many years, to talk with the youth in the schools and church groups. The youth have the Internet now, and with many ultrasounds being shown on Facebook and other media sites, they know this is a baby. We have started the good fight against euthanasia, and education is still the key to winning the war! We have not had many visits to the Centre or phone calls in recent years. It is a different world than when Elsie Wayne was right next door to us on Charlotte Street. Anyone who visited her, came to say hello to us too. Our journey has included those who are well-known, and those individuals who may be unfamiliar to others, but faithful volunteers (thank you, Rose Aucoin). I could not have done any of this without the help and support of Gail & James Short. Gail has always been my mentor, encouraging me and talking me through things. I may stand as the head of the Chapter but Gail is the Heart. I could not have done it without her. Last, but not least, thank you to my husband Billy and children, Theresa, Christopher, Timothy, Martha, George & Rebecca. I hope I have made you proud and that you will always know that Love & Respect are the answers we all need at all ages and stages of our life.